These resources are listed in alphabetical order by content area. (ELA and Reading are listed separately.) For cross curricular strategies and resources, click here. Multilingual Glossaries Sorted by Subject Area and Language. 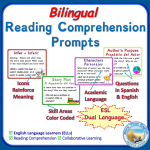 Prepared by the NY State Education Department, these glossaries are available in many languages and cover the basic subject areas taught from elementary school through high school. Academic Word Finder. Use this free tool from Achieve the Core to locate Tier 2 academic vocabulary in any text. Copy and paste your chosen text and select your grade level. The Tier 2 words will be highlighted in the text and you will get a list of the words plus definitions. It will also show you how many of the Tier 2 words are on your selected grade level, above it, and below it. Colorin Colorado has a wealth of information sorted by grade level. For more goodies, check out the menu on the left hand side of each page. 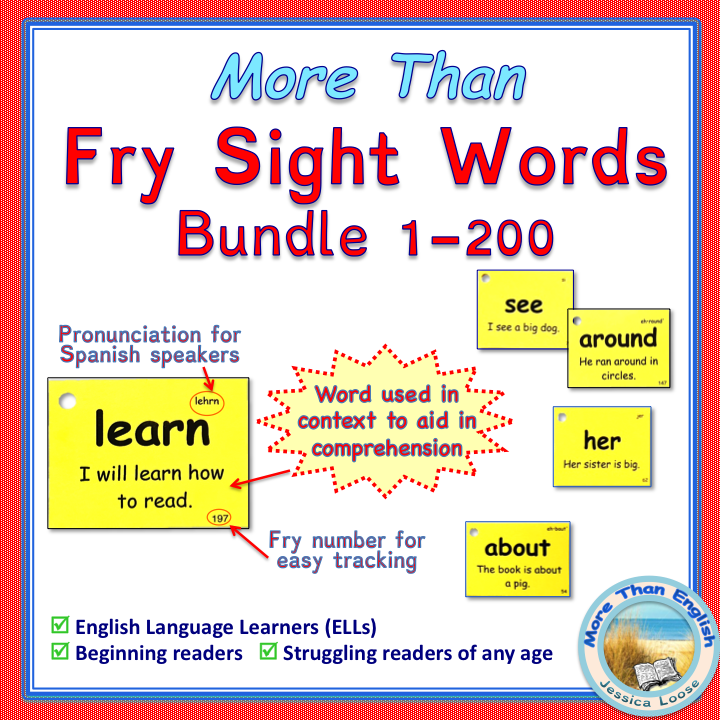 Free worksheets K-12: English for Everyone has everything you need from first grade spelling, to analogies, to reading comprehension. Easy to navigate and very comprehensive! Idioms: Idiom Connection offers an extensive list of idioms sorted alphabetically and by subject/topic. Vocabulary Online: Review math vocabulary with easy to understand illustrations, organized by grade level. Or use this illustrated math dictionary which includes on-line practice. English Spanish math dictionary. Math Vocabulary K-5: These tables from NC Department of Public Instruction, categorize math vocabulary by grade and by topic/strand: Counting & Cardinality, Operations & Algebraic Thinking; Numbers & Operations; Measurement & Data; and Geometry. Math Charts: Colored, notebook sized mini-charts make perfect reference guides for students: numbers, operations, fractions, decimals, percentages, ratios, beginning algebra, data and statistics, probability, geometry, measurement, time, money, symbols and notation, blackline masters. Math facts: Fluency is critical for ELLs. It builds confidence and allows them to focus on the academic vocabulary and multi-step instructions. Xtra Math is a free site where you can customize daily ten minute practice for your students and follow their progress. Times tables: Create random times tables with missing blanks, great for fluency practice. Create your math aids from simple subtraction to secondary geometry and algebra. This site lets you choose the number of problems per page, and comes up with a new selection of problems every time you click on “create.” It is better than some of the sites I have paid for! Math Fact Cafe has free printable math worksheets organized by grade level and skill. The time and money sheets are great and quick to generate. Xtra Math: Set up your students on this free website to practice math facts ten minutes a day with an automatic student rotation schedule built in. Beginning with an initial assessment, the program automatically adjusts to each student’s fluency in addition, subtraction, multiplication, and division. A class report is automatically generated and emailed to the teacher each week. ixl math: For free, students do 20 practice problems for discrete math skills, by category and grade level. The problems per category change each time a student logs in. Excellent visuals and explanations for wrong answers. You need to pay to join if you want to do more than 20 practice problems. Math is Fun: Free site with easy to follow language, illustrated dictionary, fun guided practice, and worksheets (both online and printable). Categories include: numbers, algebra, geometry, data, measure, puzzles, games, dictionary, worksheets. Geometer: Free dynamic geometry program that allows you to draw and modify euclidean geometry figures. Matific: Free math games sorted by grade level and Common Core Standards. Math classroom videos: Inside Mathematics has a library of videos demonstrating teaching to the Common Core, organized by grade level and subject, along with other resources. Khan Academy in Spanish: Some teachers are flipping classes by assigning videos before classroom instruction; others are using Khan Academy videos to reinforce. Either way, it’s useful to have this resource available in Spanish now. NOTE: Students learn math differently in Latin America. This paper compares operations and notations from subtraction to algebra. 100 common nouns from Fry’s word list from Unique Teaching Resources. Activities for Young Learners: This Symbaloo from Cathy S has them all in one place. Nice job! Online stories in Spanish: It’s wonderful to be able to read in two languages! Los Bloguitos: Stories, poems, riddles, picctures, and much more. Mis Cositas: Illustrated stories from Argentina, Colombia, and Mexico. Reading is Fundamental: Listen to simple stories read aloud in Spanish or English, while reading the words. International Children’s Digital Library: Find books organized in categories such as language, age, theme, etc. Tumble Books: Listen to (or project) an extensive selection of books in English and Spanish read aloud while the reader tracks highlighted words. You can even organize your favorite books in collections. This site is sponsored by Dare County Public Libraries. You will need to enter Username: dare library and Password: libra in the upper righthand corner of the screen. Highlights for Children: Online books (some are read aloud) and activities with options to Play, Read, Make, and Share. An entertaining English resource updated monthly. Project Gutenberg: Over 45,000 free e-books to read on or off line. Starfall: A free site for young readers beginning with letter recognition and sounds, progressing to simple leveled readers combined with activities. Carol Montgomery’s Reader’s Theater All Year: Search for scripts by subject area and readability. 50+are available for free; for a nominal annual membership fee you gain access to 275+ scripts plus many related instructional activities and suggestions. Carol will even custom write a script for members! Nonfiction Reader’s Theater: Scripts from Melissa Stewart based on her books about animals. Aaron Shepard: Here is an alphabetic guide to Aaron Shepard’s stories and scripts, both online and off. ReadWriteThink: Strategies, interactives, lesson plans, and more for Grades K-12. e-Books for Your Kindle: You don’t just have to get books for your Kindle from Amazon. This list of resources came from Askville.amazon.com. 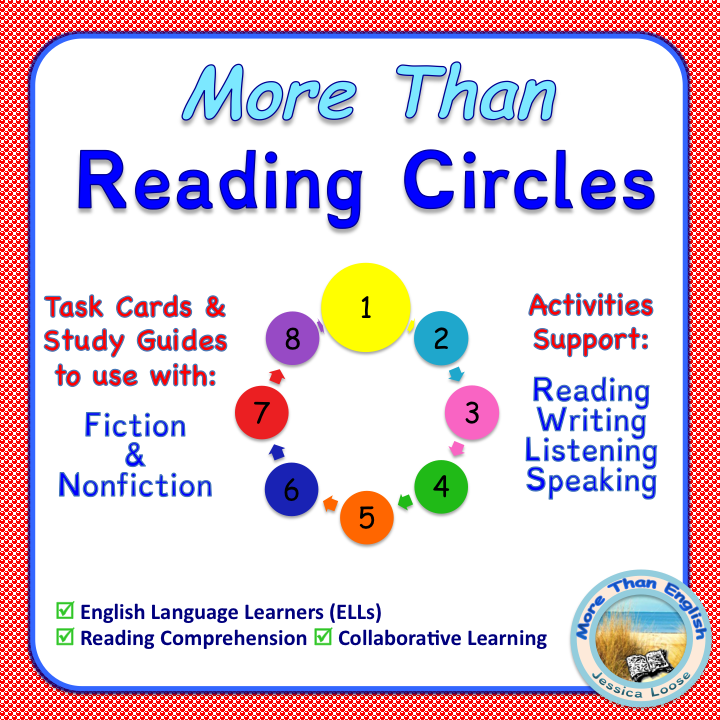 Read Works: Many passages for teaching specific comprehension skills and concepts, organized by concept (from Author’s Purpose to Vocabulary in Context and everything in-between), Lexile, and grade level (K-6), with specific alignment to Common Core reading standards. This free site offers easy to follow lesson plans, materials to download, and specific book lists with Lexile levels. Includes over 1000 nonfiction passages. Science Toolkit from UNC Morehead Science and Planetarium Center. Activities for elementary, middle, and high school. Use them on your own or plan a spring Science Festival with their help. Science passages from ReadWorks: Sorted by grade level K-6. You need to create a FREE account to access these and over 1000 other nonfiction passages. Current science news: It is so easy to differentiate with these current events articles fromTween Tribune as each one comes in 3 lexile levels! You can search by grade level clusters, by content area, and by lexile level. The easy to follow lesson plans are correlated with Common Core Standards. Create a free teacher account and invite students. interpreting content presented in diverse media, including visual images. DOGO News Kid oriented articles for grades K-8, sorted by interest area and grade level clusters. Create a free teacher account and invite students, create lesson plans, etc. Tween Tribune It is so easy to differentiate with these current events articles as each one comes in 3 lexile levels! You can search by grade level clusters, by content area, and by lexile level. 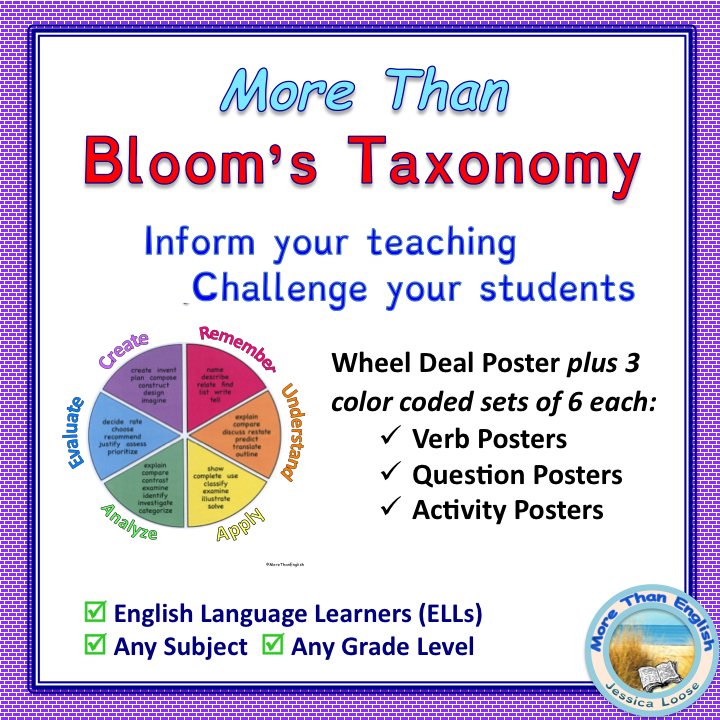 The easy to follow lesson plans are correlated with Common Core Standards. Create a free teacher account and invite students. Stop Bullying: Help your students understand what bullying is and how they can protect themselves. This site has specific suggestions for teachers, videos, and many other resources. Storybird: Select from an extensive variety of artwork for your illustrations, then insert the story into the textboxes. Your students can write their own stories or they can work collaboratively and dictate to you. Either way the result is impressive. For a small fee, you can download the book and print it in various sizes. Here’s a guide to get you started. Or watch a more detailed video on YouTube. Little Bird Tales: Students can create, illustrate (either with original drawings or by uploading images), and record themselves reading their creation. For a small fee, you can download the video clip. Super Lame Comics: Upload photos or images from the web and add speech bubbles. Use it to teach conversational skills or to help students imagine what someone might have said in a particular situation. Interactive Graphic Organizers: A wide variety of templates with text boxes you can download, fill in online, and print.